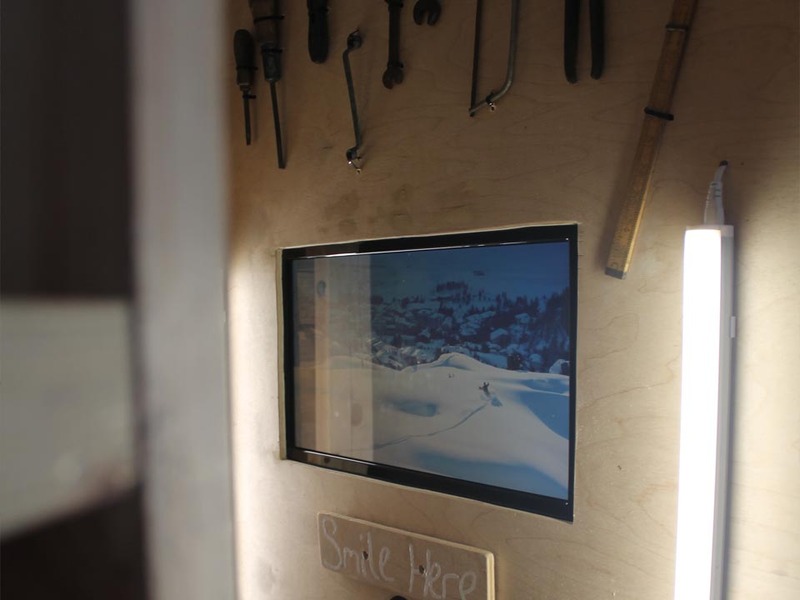 Hire our Ski Lodge Photo Booth in Berkshire, Hampshire, Wiltshire, Oxfordshire & Surrey for your next event. This one of a kind Photo Booth not only creates a massive talking point at your event. It also makes your guests remember your event for all the right reasons. 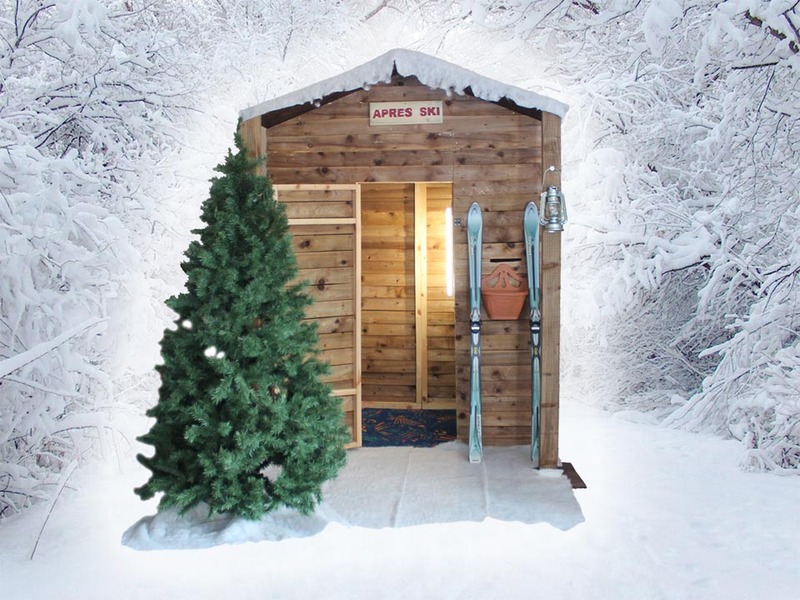 Our Ski Lodge is perfect for a Winter or Christmas Party. There is no where better to relax after that long day on the slopes. Inside you will find a log cabin theme. 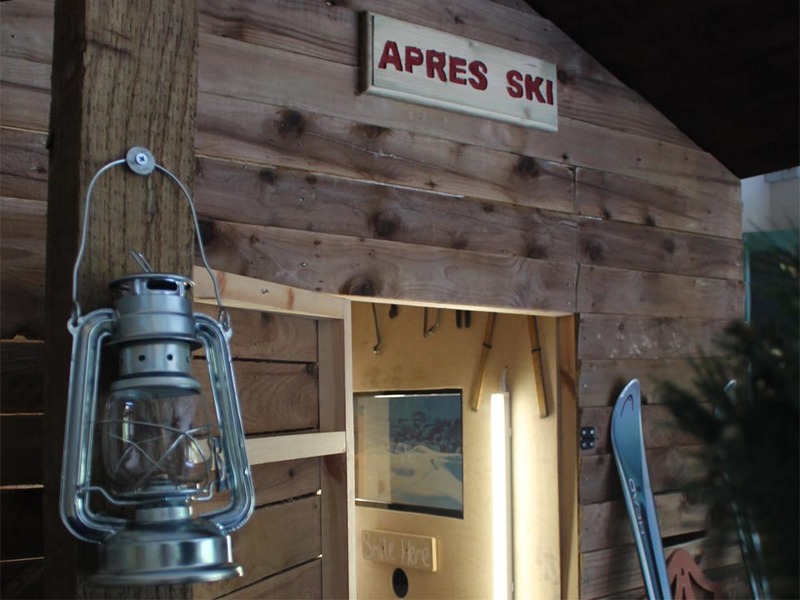 Outside is complete with lanterns and a pair of skis. Using the booth couldn’t be easier. With a built in touch screen display all you need to do is follow the on screen prompts. Once clicked the program will take 4 pictures counting down each time. High-quality images are captured on the internal DSLR camera. All of our picture prints are fully customisable. We can add personal touches so people can take home the perfect souvenir. DSLR + PROFESSIONAL LIGHTING designed to make you look at least 4-5 times more famous than you actually are. You won’t find a cheap blurry web cam here! The only thing you’ll have to worry about is the timeless photo booth dilemma: smile, or look tough? ONE OF A KIND BOOTH DESIGN – This really is a one of a kind photo booth. The only thing this booth has in common with others is the cutting edge technology inside. Pile the whole gang for a group shot or go solo and grab an individual portrait. EASY TO USE TOUCH SCREEN keeps your guests moving and the fun going. It’s completely self operating so guests can find the perfect pose and start whenever they are ready. But we will send one of our trained operatives, just to be sure you have no problems.